Extended Protection Plans: While warranty data is the starting point, warranty analytics is what drives the business. Warranty analytics can be used to create an intelligent extended protection plan that identifies the types of failures, which customers are most impacted by them, and what the root cause might be. This, in turn, also helps determine the right level of coverage to meet the customer's risk profile. Breaking Down Risk Management Options: Service contracts sold by dealers or manufacturers to buyers of commercial products such as construction equipment can increase resale value, raise customer loyalty, boost uptime, and lower operating costs. But before extended protection plan sales can begin, the advantages and disadvantages of various risk management options must be considered. Commercial Service Contract Association: Industry leaders have launched a new trade association for commercial service contracts, with the inaugural meeting scheduled for tomorrow morning. But unlike with product warranties, extended warranties, and protection plans aimed at the buyers of consumer goods, the boundaries of the commercial service contract industry are not as sharply defined. Extended Protection Plans: Service contracts sold by dealers to buyers of products such as construction equipment can increase resale value, raise customer loyalty, boost uptime, and lower operating costs. But before extended protection plan sales can begin, dealers have several risk management options to consider. Service Contract Insurance Stocks: Though there are very few publicly-traded companies that derive most of their revenues from sales of extended warranties, almost a dozen public companies have a significant share of the business. Whether it's from home warranties, auto, electronics or mobile phones, the success of their protection plan sales efforts provide investment opportunities to outsiders. 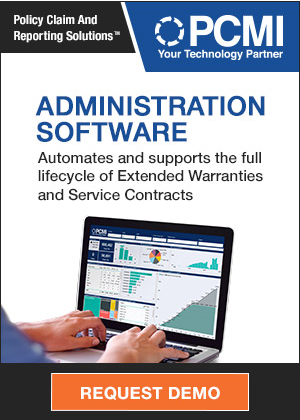 The A-Team of Extended Warranties: Ten companies, whose names all begin with the letter A, control at least 57% of the $40 billion U.S.-based and consumer-facing service contract industry. Most are administrators and/or underwriters of the protection plans, but a few are electronics manufacturers and/or retailers. Extended Warranty Conference, Part 2: In the service contract business, the breadth of protection plans and coverages is growing, and the pace of technological innovation is quickening, while the lawmakers and regulators struggle to keep up with all the changes. Service Contract Market Research: Protection plan buyers are more loyal to both the brand and to the retailer, according to results of a consumer survey commissioned by The Warranty Group. And they're also happier with their purchases than non-buyers. WCM Preview, Part Two: Given that so much of the knowledge and wisdom in the warranty management profession is passed on verbally, this annual gathering of product protection industry experts is an unrivaled opportunity to hear both vendors and their customers tell the stories of their journeys. 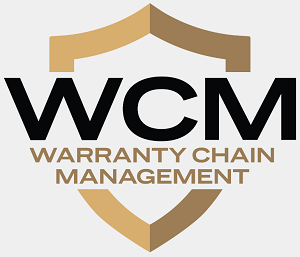 WCM Preview, Part One: Given that so much of the knowledge and wisdom in the warranty management profession is passed on verbally, this annual gathering of product protection industry experts is an unrivaled opportunity to hear both vendors and their customers tell the stories of their journeys. Service Contract Pricing: Microwaves: Built like electronics but sold like an appliance, the microwave oven is a hybrid of two different product categories. And with service contracts costing almost 19% of the product's price on average, it also has one of the highest average costs of protection. And there's a big difference in the cost of protection plans for units priced at the high or the low end of the market. Service Contract Pricing: Dishwashers: As we begin our analysis of major appliance protection plans, some of the same patterns that we saw with consumer electronics are popping up. And there is an even greater range of pricing and plan durations. Legal Opinions: Two attorneys from Locke Lord explain how third-party billing for service contracts may open the door for cellphone carriers to be regulated by the Consumer Financial Protection Bureau. And the executive director of the Service Contract Industry Council explains how his group works with regulators to fight against deceptive marketing practices. Service Contract Pricing: Electronics: Though the overall average is 17%, there's a wide range of pricing variation based on the duration of coverage and the inclusion of accidental damage coverage. And then there are retailers and administrators that price high because they can. A simple shopping survey of product and protection plan prices reveals the difference. Service Contract Pricing: SquareTrade: Next year, once Allstate completes its SquareTrade acquisition, we'll find out whether there's more value in its direct-to-consumers sales model or in its traditional retail relationships. But this year, though the company has a reputation for selling inexpensive product protection plans, we're finding that some of its retail partners are marking up prices significantly. Service Contract Pricing: Wi-Fi Doorbells: One of this holiday season's hottest products is likely to be those video doorbells that let homeowners see who's knocking even when they're away. But they're so new to the market, the technology is so unproven, and the risks are so unknown, that a large part of the service contract industry seems reluctant to offer protection plans for them. Service Contract Pricing: Blu-ray Disc Players: The price of the product varies tremendously among top retailers. And so does the price of the protection plans they pair with these units. Some plans are priced low because they don't start coverage until the manufacturer's warranty ends, and they don't cover accidental damage. But others vary for more mysterious reasons. PCMI & Ancillary Products: As the protection plan industry broadens from just break/fix coverage, new software platforms have enabled sellers to more efficiently make their offers and print the paperwork, and new ways of delivering those platforms have allowed smaller startup companies to launch and administer innovative new products. Appliance Protection Plans: When it's all counted together, a huge amount of money is being set aside to pay for product repairs. Manufacturers finance their warranties and consumers can purchase additional protection through either service contracts or home warranties. It all adds up to about $6.77 billion spent last year on protection plans. Home Warranty vs. Homebuilders' Warranties: When it comes to protection plans, consumers spent over $2 billion on home warranties last year while builders spent roughly $1.5 billion on warranty claims. Home warranties are an essential part of a sales transaction in some states, and homebuilder warranties are a major attraction for new home buyers. But most existing homes aren't covered by a protection plan, and the warranty costs for most new homes aren't reported publicly. Microsoft Complete & AmTrust: Rather than keeping it in-house as they added more hardware to their product line, the manufacturer partnered with an insurance company to launch a suite of protection plans globally. And as the insurance company learned to work at the same Internet speed as the manufacturer, it also learned to love completely new product categories for which there's no loss cost data to help them. Warranty Workshops: Warranty can have a massive effect on customer satisfaction. And the loyalty of the customer can have a massive effect on future sales and profitability. So how to balance the protection of a company against the contentment of its customers? Mid-Year Service Contract Report: Consumers will pay nearly $40 billion this year for product protection plans, despite the best efforts of the watchdogs who tell them not to. It's mostly for smartphones and passenger cars, though, because everything else is perceived to be disposable and not worth fixing. New Approaches to Warranty Management: For many years it was all about cost reduction. Now, there's little left to cut. And both manufacturers and retailers are looking for ways to improve the customer experience by launching new types of protection services and new generations of warranty automation systems. The Warranty Genome: Just as our genetic code determines traits such as eye color and behaviors such as left-handedness, so too does the format of a web page or the content of a communication determine the outcome of a transaction. To understand why some people buy a protection plan, we need to understand why others don't, and whether we can do anything to alter that outcome. Mobile Phone Insurance Market Shares: The top four wireless carriers in the U.S. collect more than $7.8 billion in protection plan premiums from their customers, and top electronics retailers collect an additional $4.3 billion for mobile phone service contracts. A handful of administration and insurance companies work with them. Extended Warranty Image Problems, Part 2: More than a debate about terminology, what the industry needs is a spokesman (or woman) who can defend the value and convenience of protection plans. Service is becoming a major issue for both manufacturers and retailers, and letting attacks on the service contract industry go undefended is no longer acceptable. Vehicle Shopper Survey: Buyers in 2010 will take more time, do more research, and ask more questions. But these "tire kickers" may also be the best prospects for sales of add-ons such as extended warranties and other vehicle protection services, according to a survey being released this week at the WCM Conference. Vehicle Protection Association: Although it would have been better to prevent the "expiring warranty" scam from trashing the reputation of the vehicle service contract industry, efforts are now under way to repair the damage by making direct marketers adhere to a code of conduct. In the UK, however, the code preceded the need, so there was no problem, at least in the vehicle service contract industry. Home Warranty Market Share: While American Home Shield continues to dominate, electrical and water utilities are shaking things up with the growth of their wire and pipe protection services. And despite a continuing multi-year dip in home sales, the home warranty industry set a record this year with $1.5 billion in premiums paid by consumers. Camcorder Shopping: All the major brands except Canon give only 90-day warranties on labor, making extended warranties an attractive add-on. But there are numerous small brands that give the full year on both labor and parts. Meanwhile, extended warranties are priced low by some retailers, while a few try to get more for the protection plan than they do for the product it covers. Warranty in Europe: As a major part of consumer protection, warranty has a high priority in the policy of the European Commission. Consumers are protected by mandatory warranty periods of two years, by legal instruments to guarantee access to the aftermarket for automotive spare parts and by stringent rules for product safety. However, increasing warranty costs in the automotive industry may indicate that the reality of product quality has not yet met the requirements of those legal rules. A warranty industry association is needed to satisfy consumers and to reduce these tremendous costs.